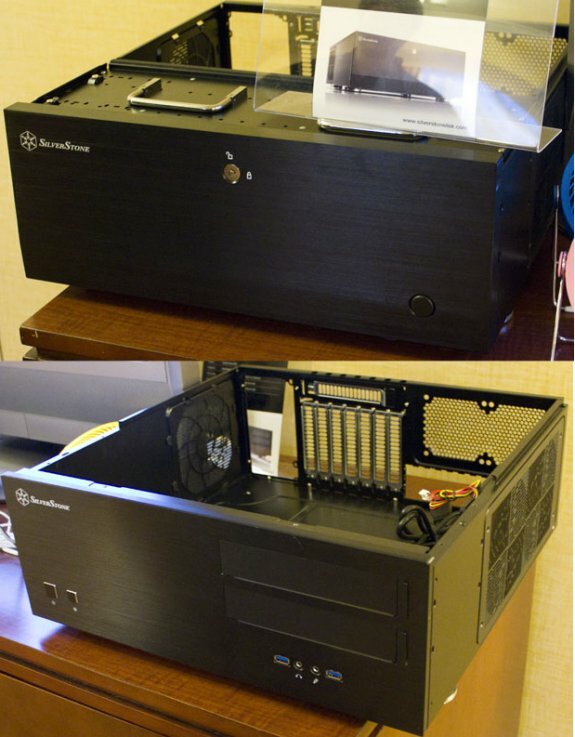 SilverStone presented two new full-sized HTPC enclosures at CES 2012, you can check them out at The Tech Report. Silverstone says it hasn't done a major redesign for its HTPC line since 2005, so the Grandia GD07 and GD08 are a long time coming. The two cases are actually quite similar, differing only in the configuration of their drive bays and front panels. The GD07's front face is hidden behind a locking aluminum door, while the GD08 offers a clean front face with spring-loaded doors for just the optical bays. Both cases feature front-panel USB 3.0 connectivity and little sliders that adjust the brightness of the LEDs.